Freestanding mirror with handmade frame in exceptional design. 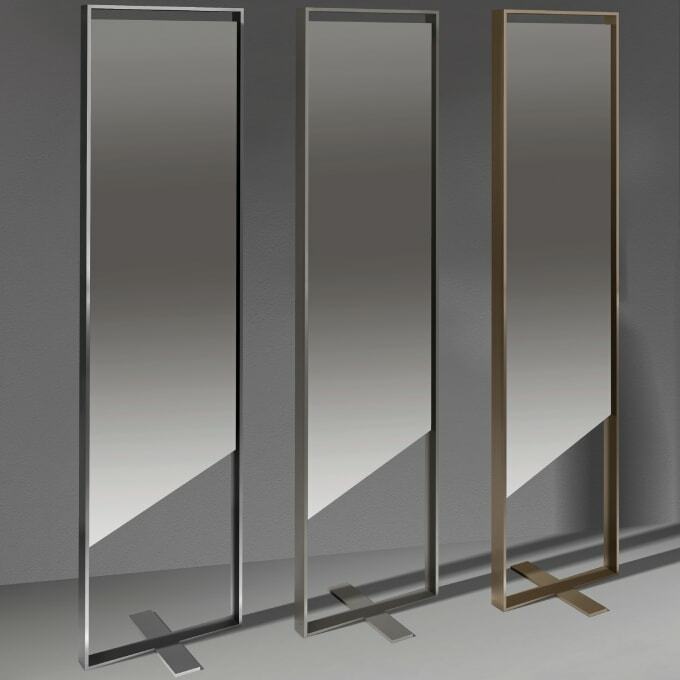 This DESIGN standing mirror combines the puristic materials stainless steel or brass with a crystal mirror to a DESIGN object of the highest quality. The frame is handmade in brushed or hand polished stainless steel or in matt brushed brass. The special mirror is firmly attached to the frame and with its unusual shape forms an unusual design in combination with the frame. The Designer Stand Mirror GIOLINA can be mirrored on one or both sides. If desired, it can also be placed freely in the room, e.g. as a special room divider. Do you have a question about "Giliotina"? How can we contact you?